We have the finest selection of stylish places to stay in Norfolk! From traditional coastal Norfolk holiday cottages, romantic Norfolk countryside cottages for couples and large Norfolk holiday accommodation for families and groups with swimming pools and games rooms. 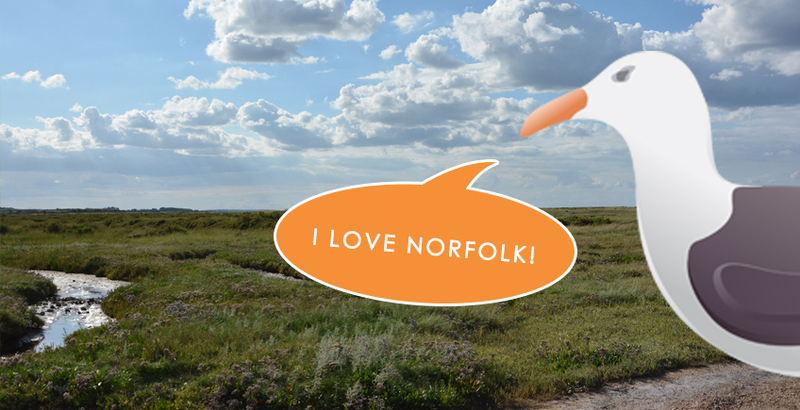 Mid Norfolk encompasses the glorious Norfolk Broads, the medieval city of Norwich and Thetford Forest offering visitors a multitude of activities and places to explore. Our stylish mid Norfolk holiday cottages can be found in the village of Larling. Norwich is the cultural hub at the heart of Norfolk. Once renowned for having a pub for every day of the year and a Church for every Sunday, you’ll never run out of things to do in this varied and interesting city. The most complete medieval city in Britain, there is endless history to get lost in. The impressive castle, cathedral, city walls as well as the charming streets used in many films and television shows provide a unique backdrop to boutique shops, independent restaurants as well as high street brands. The city has two shopping centres with a great range of shops as well as a traditional, independent department store, Jarrolds. The foodie scene is alive and well with regular farmers markets outside the Forum in the centre of town and a broad range of restaurants serving an international array of cuisine.